Turai is sponge gourd, a staple summer squash that I end up cooking a lot. This is one of those vegetables that even Arvind loves so I can do many versions of it. 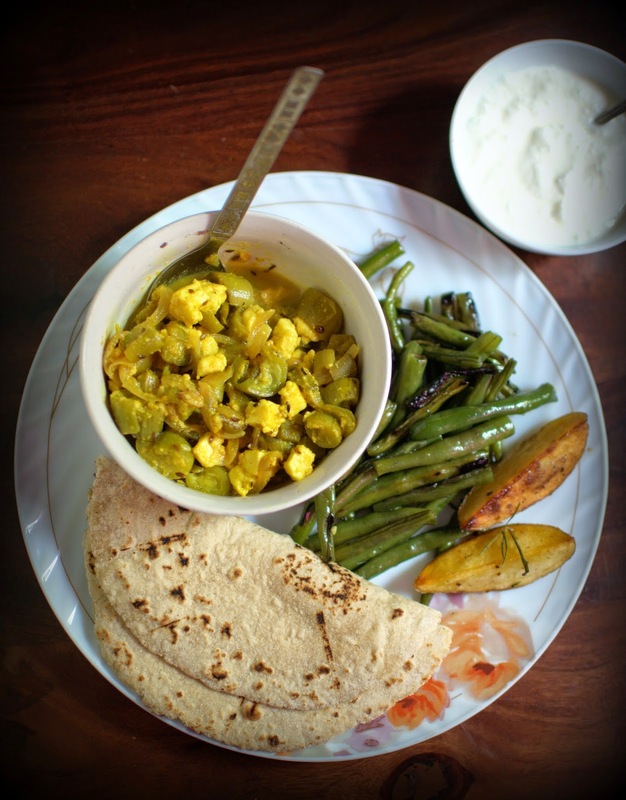 This paneer turai ki subzi was made to suit his lunch box meals, to make the curry protein rich and filling with multigrain rotis that he liked for his everyday lunch box. But the greatest convenience is the ease of cooking in the morning rush hours. You get the drift. Many a times I add a paneer salad or egg bhurji or just sliced boiled eggs smeared with pesto, mustard or mint chutney along with some green vegetables but if he is having eggs for breakfast and I have no time for making a salad I add paneer or shredded chicken to his subzi. Works well because the same subzi or salad serves me for my brunch later in the day. This is the story on most weekdays with just a change of the vegetables used. Now a days as work load is getting more, the vegetables are cut by the maid most of the times though I do all the cooking myself, the vegetables come out of ziplock bags when I cook. Heat the oil and tip in the cumin seeds. Add the slit green chillies once the cumin seeds crackle. Immediately add the sliced onions as well and stir fry till they get slightly pinkish. Add the turmeric powder and mix well, add all the sliced turai and mix well again while the veggies wilt a little bit. Add the salt and cook covered till the turai wilts completely and leaves it's juices. Add the cubed paneer and mix well. Let the curry cook on high flame without the lid for a while till the extra liquid evaporates. Serve as required. 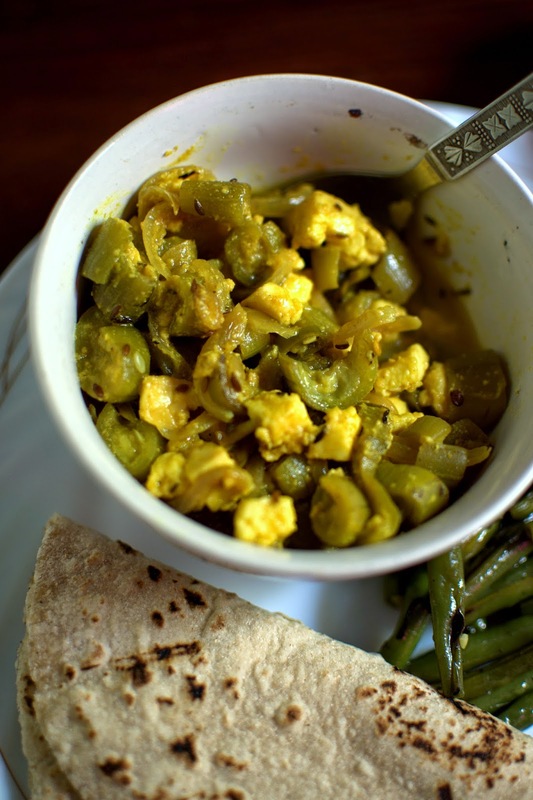 This curry has a sweetness to it due to the onions and the natural taste of the sponge gourd. You can add a little more green chillies than you normally have and even a little chopped ginger if you wish. Some tomatoes also make sense if you want the flavours a bit hot and sour type. This recipe makes the curry a little on the sweeter side with just a mild hit of chilly heat which we have grown up eating in the Eastern UP homes. That's an interesting combination. Have to give it a try.